With more than 400 videos available on the site, you are in for a treat. Buckle up and get ready to embark on a ride to the nostalgia land. All clips are classified into 6 main categories and can be viewed by clicking the links below. Doordarshan Complete Episode Series here. Doordarshan Program/ Serial Clips here. Doordarshan Program/ Serial Theme Songs here. I have had a lot a requests for the video before but I haven't been able to find it yet. I will upload it once I find it. I am glad you liked the blog. Thanks again for your kind words. Looking for it. Couldn't find it. Want to see him telling "Fark to padta hai bhai". Thank you for appreciation. Yes! it does take a lot of effort to compile all the videos into one blog. Glad you liked it. About'Ehsaas' - Well, I have to look into it and will keep you updated. Great blog! Can you guys add the signature for DD National Program that used to start at 8:40pm? It showed various clips inside India map with Shehnai in the background.. I think I know what you are talking about. Did you check out the 'Doordarshan Signatures' in the blog? You should be able to find the video there. Thanks for taking time to comment here. I want the Song "Kahe Samay Ka Ek Tara/ Aksar Aksar Dwip Jale/ Mile Shiksha, Gaon Ujiyara/ Kahe Samay Ka Ektara.."
Can any one post it? Hi..This is a wonderful site.. please upload the "Mahabharat" title song.. I remember every sunday we used to watch Mahabharat with the whole family including the elders. I think it will be great. Oh! did I miss that? I will post it here as soon as I get it. Thanks for appreciating the efforts! i am surprised that a site exits. great work..still remember those DD's children programs that were wonderful...fraggle rock, giant robot, he-man!!!. thanks. You are welcome!! I hope you have a good time while you walk down the memory lane with all the videos on the blog. Thanks for commenting. hi, can u tell me the name of the punjabi television series in doordharshan(91,92). it was about some big punjaabi family, telecasted on sundays. the title song was very famous it seems. Are you taking about Flop Show? Check out the vidoes of 'Flop Show' on this blog and let me know. Please could you tell me where this song/ jingle is from. Its from the yesteryears but just cannot place it " Iraade Nek ho toh sapne bhi saakaar hote hai, agar sachhi lagan ho toh raaste aasaan hote hai"
I am still raking my brains to see if I remember it or not. Will keep you updated. Hey thanks a lotttt for these links. hi, did you find it. i also need this for my kid. Excellent collections for the future generation...congratulation for this effort and idea behind this...Keep it up.. Thanks for your appreciation and kind words. I hope this blog serves our generation way into the future. No luck yet, so far.. Will keep you posted if only you were not Anonymous. These are 2 different songs. Your link is for 'Poorab se surya Uga'. Sure, Will do it soon. thanks a lot for this site. I love what you write as much as what you upload. so true that doordarshan makes me nostalgic of my childhood like many others and of an India that was so different :). Thank you 'Anonymous'. It's comments like yours that keeps me going. You are welcome Rohan. I hope to see you visiting this Blog often. Yateesh, You made my day. Thanks for commenting. Can anyone please upload the NEEV seral video. I think a few program clips are available on youtube from the serial Neev. Check them out! I am out of luck with that serial. Hopefully some one uploads it someday. Until then, keep your fingers crossed. Glad you liked this Blog. Keep visiting..
Kahe Samay Ka Ek Tara/ Aksar Aksar Dwip Jale/ Mile Shiksha, Gaon Ujiyara/ Kahe Samay Ka Ektara.."
Hi, Can you find me a series called "Thats Cricket" by Ravi Shastri. It was aired on Sunday mornings in 1987. No clipping available of that series but keep hoping. Please post that small clip wherein a Aman Verma explains about railway crossing safety and one guy keeps on coming in different vehicles and doesn't listen to Aman Verma and gets run over by train in the end. It was a funny one. Please post it, pleaseeeee.. I am out of luck with this clip.. I will keep you posted. If only you were not Anonymous. Someone should do it soon! I can't remember this line but any hints could help. Does anybody remember miniserial by Vijay Anand Tehqiquat. Used to be on air on tuesday after news. I would love to listen the Tital song again. If you have the song, would you mind sending it to me? 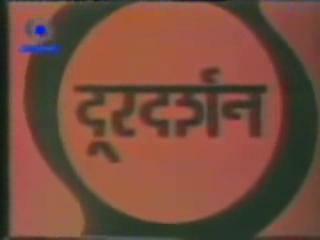 There are some fantastic collection of Doordarshan Signatures and Documentaries on the Blog. Please check if the video you asked for is one of them. 'Mitti ke rang', 'Suno kahani', and 'tarang'.....Does anyone remember these Tv series? Yes, we remember. I get a lot of requests for these serials and their Theme Songs but unfortunately, I do not have them with me. Hopefully, someone might upload it some day. Keep your fingers crossed if you want to see them. Thanks for reminding us of those serials. I do not have anything related to the serial with me as of today. I will keep you posted as soon I see progress. Until then, keep your fingers crossed. Good description but I am unable to recollect watching any video with the story line. The nice thing about sharing it here is that any visitor on the blog can read your comment and could lead us to where the video actually is. Until then, I'd keep my fingers crossed. Thanks for commenting here. Thankyou for making this sit. Thank You for your comment Shreya! You just made my day. Please do your bit of sharing and spread the joy. thank you for bringing this site. We can go back to our good old DD days. I was looking out for few ads like the Rajdoot 350 ad, Yamaha Rx 100 ad & Suzuki Shogun ad. can you please upload those ads. Thank You Biswatosh for your comment. I will keep you updated on the videos. Keep your fingers crossed until then. Do you have a page in Facebook? I hope you find it some day but for now, I do not have this Advertisement in my collection. I want a special dedicated channels for kid only. You may have to write to Doordarshan for that! Heyy....thnxx for returning back those days..... But i really missed one of my favorite one...... can u please upload the clip of song "samay samay ka iktara"
Thank You for your comment, I will keep you updated if anything comes up regarding the video you asked for. Keep visiting the blog. Thank You for refreshing our memories with Doordarshan's lost memories. This blog is in no way liked to the National Broadcaster Doordarshan though. I am still unable to find the safe railway crossing video that most people have asked for. I hope to find it someday. Thank you for your wonderful comment. I have noted your requests and have begun to look for them in my archives. Keep visiting the blog to know more about the new videos I update often. 3. Link to the investigator (der fahnder) episodes. I hope to find them all but I do not have them in my collection as of now. Keep Your fingers crossed. Cheers! Sorry, I do not keep track of up coming shows. You may have to contact Doordarshan for that! Thank You for the appreciation. I hope you enjoy the memories posted here. Hello, I am trying to track down a DD documentary in the early 80s, "Vijayalakshmi: The Story of a Young Woman with Cancer". Would you happen to know anything about this? or have an idea about who I can contact to get more information about this? Thanks! and great blog BTW! Hello. I am looking for 'Brahmand Serial Episodes. Can I get it i for of CD? Please help me with the Parle Poppins Ad, "Jungle Jungle". In the past few years the popularity and demand of destination video production has reached all new heights and thanks to the professionals who are all coming up with different new technologies. The best of social media marketing strategy will work in perfect new way and ensure basic things are all completed for their client. Make sure you have the best team working for you. Can you find one ad of pepsodent in which two kids go to shop for buy pepsodent but shopkeeper also give him toffies because now pepsodent available for rs 10 only then thoes kids went away and lines comes ab pepsodent ka naya pack sirf rs 10 m.
ვემსახურებით საუკეთესო და კარგი ხარისხის ტელევიზია, ფილმები , კინო , სერიალი, ქართულად , televizia , filmebi qartulad , kino, seriali , horoskopi , gogaggg . Hi thanx for this blog!! Hi please upload hero Honda glamour bike's old commercial add year of 2005-06. Any idea if doordarshan is planning to upload episodes of aarohan on this blog? It starred Pallavi Joshi. Please do so. The remark comes ahead of Trump’s meeting with congressional leaders over the legislative agenda for the next few months, including extending funding for the federal government past a September 30 deadline, Xinhua news agency reported. Trump had earlier in late July fired off threats to shut down the government. However, during an interview with The Daily Caller published earlier on Wednesday, Trump said he did not like the idea of government shutdowns.